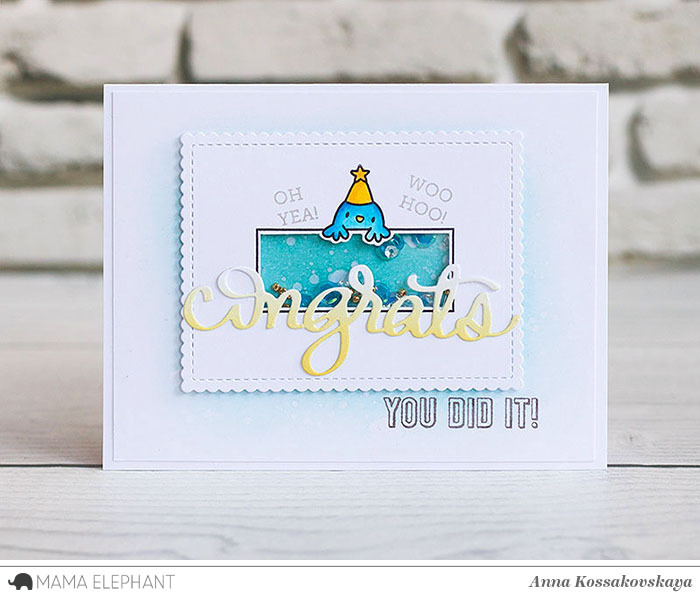 Welcome back to day 4 of Stamp Highlights with the new Congrats All Around set! 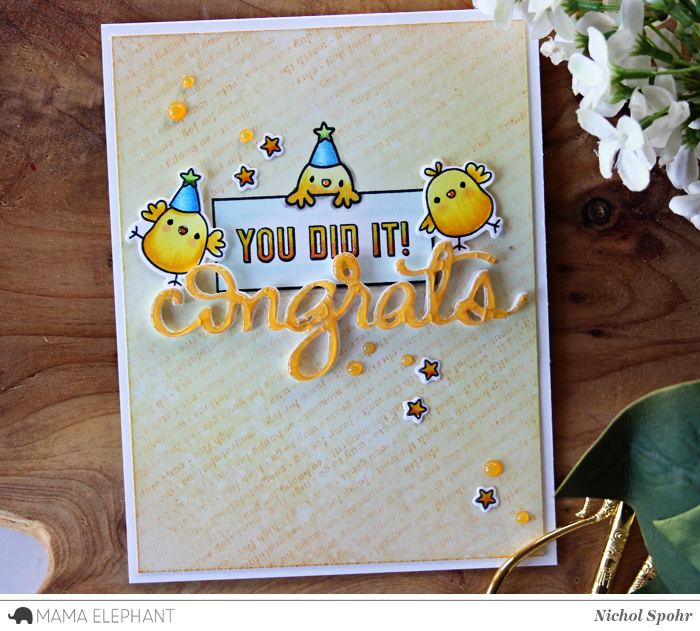 Another great set to use with our new Congrats Script Creative Cut! 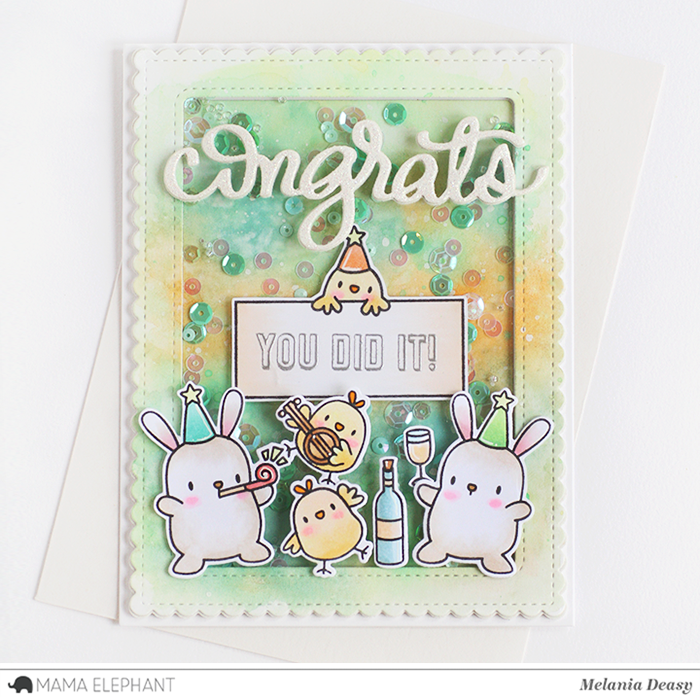 The chicks from Party Animals make the perfect accents for this Congrats All Around Card. 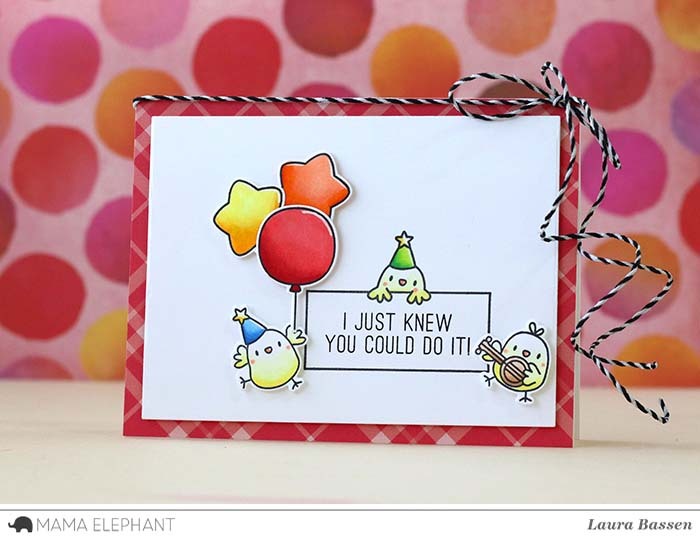 Here is another shaker card idea from Anna! Laura combined some images from Party Animals to make her fun scene. Pamela created this gorgeous rainbow coloured card to highlight the simple and cute frame that frames the sentiment. We love the subtle text in the background! 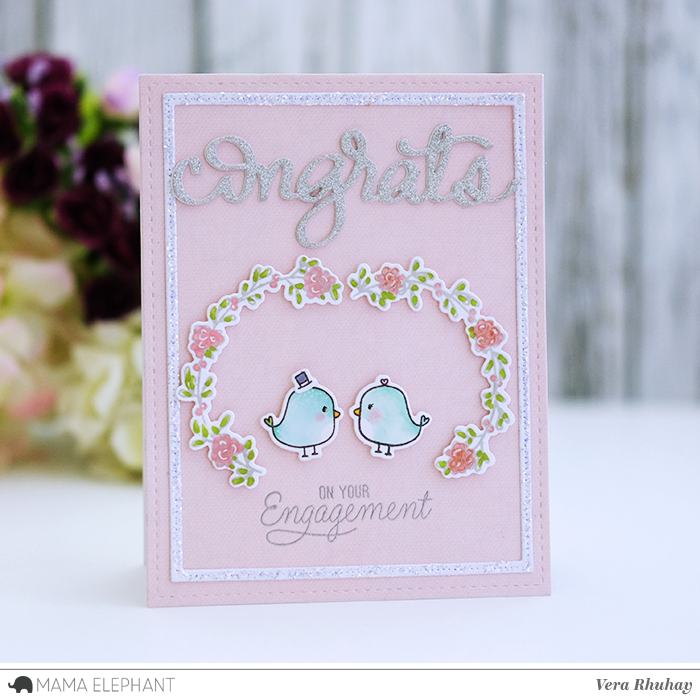 Love the soft and sweet look of this Engagement card by Vera. those animals have the most fun. 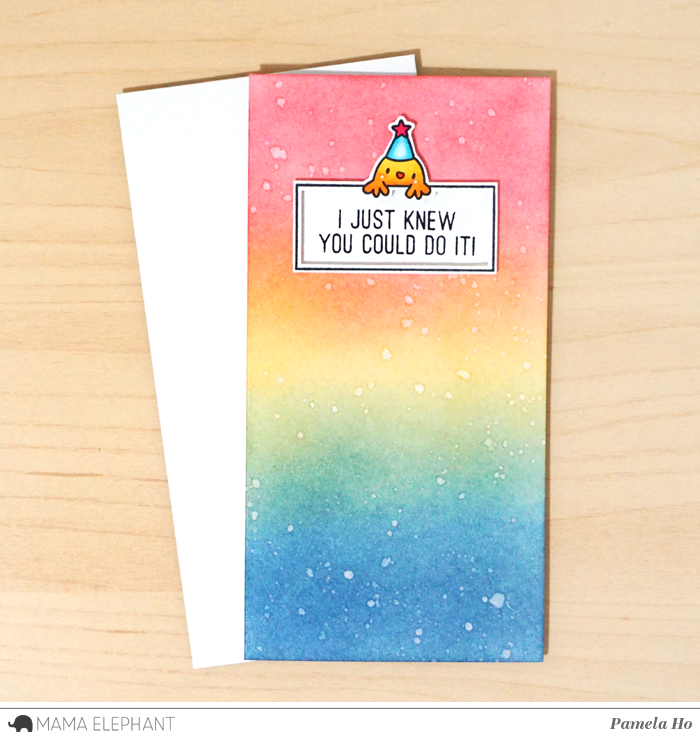 What beautiful cards and such great inspiration! These are all amazing & cute cards. So many great ideas. Definitely enabling me for this adorable stamp set! Beautiful cards. I might make something like that for my sister.